This film is in black and white. It is without sound. It is without a traditional sense of story. And it might be the most amazing thing you will ever see. 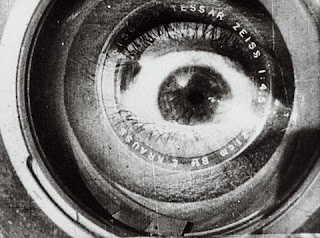 Man with a Movie Camera introduced what is considered modern editing to the world. What does that mean? Well, any film you see today, ANY film, is the way it is, partially thanks to this cult film extraordinaire. As it was made in a time when film music consisted of a drunk guy playing a piano on the front row, a whole bunch of modern musicians have taken it upon themselves to compose new soundtracks. Of the 4 different ones I have heard, the best one is the one included here, by Cinematic Orchestra.